Welcome to my world - sometimes crazy, but never dull! Sharing my sanity savers: love, laughter, and inspiration. I'd love to invite all of my readers to join me at my newest blog at www.coolbreezewalks.blogspot.com. Not only was Leonardo DaVinci a great painter, he knew some things about salt that I just discovered. 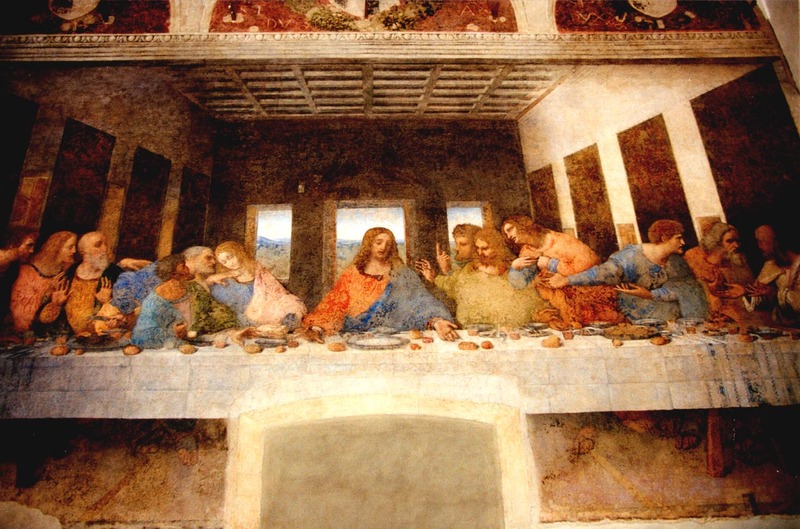 Of all the times I looked at this "Last Supper Painting" I never noticed there was salt on the table. In Bible times, salt was used symbolically in covenants - in both Old Testament and New. Jehovah entered into a salt covenant with David that his seed would be on the throne forever. In Jesus' time, Roman soldiers carried pouches of salt, and when they made a covenant they would pour salt from their pouches into one container and shake it up. Then who could tell one man's salt from the other? Now, take a peek at this close up of Judas from "The Last Supper" painting. 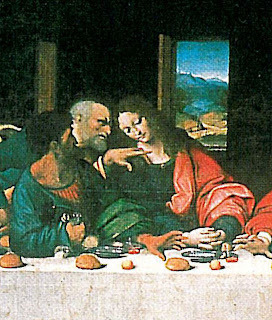 Not only does he have a bag in his hand, while the other reaches toward the bowl, but the salt is spilled in front of his arm.... symbolizing the broken covenant between him and Jesus. Four hundred years ago EVERYONE knew where flies came from. Rotting meat, of course! Every time meat started rotting, it wasn't long before flies began to buzz around it. Then along came Francesco Redi claiming that flies came from maggots. HA! What did he know? Flies had been coming from rotting meat since even the oldest person alive could remember. I don't know about you, but one of my least favorite things in all the world is to be the one to upset the applecart. I like the people around me to be pleased with me, but most of all to agree with what I'm thinking. Unfortunately the reality is that too often when we spend time thinking things through the conclusions we come to or the dreams we create go against the grain of those around us, and presenting a new idea or defying an age-old belief is the quickest route to rolled eyes and cold shoulders. Of course it's uncomfortable and awkward, but is it a bad thing? Francesco Redi, doesn't have a long list of scientific accomplishments to his credit, but he was a true visionary. He saw past the known reality and understood something everyone else touted to be fanciful and impractical. But the difference between Redi and me (maybe you too? ), is the fact that he didn't let go of the belief until he had proved it to be true. to make your visions reality? No one is remembered for being ordinary.